May 28: Senator Eugene McCarthy wins the Democratic primary in Oregon. May 28: “The Detective,” starring Frank Sinatra and Lee Remick, opens. May 29: The Truth in Lending Act is signed into law. May 29: The United Nations resolves sanctions on white-minority-ruled Rhodesia. May 29: Teen-exploitation film “Wild in the Streets” opens. May 30” French President de Gaulle dissolves France’s National Assembly and warns France that if necessary he will take measures to prevent a Communist “dictatorship.” France’s middle class rallies. In Paris, hundreds of thousands march in support of de Gaulle. May 30: The Beatles begin recording what will become their double-LP “The White Album,” but which is officially titled, simply, “The Beatles.” Sessions will span more than four months, ending October 14. 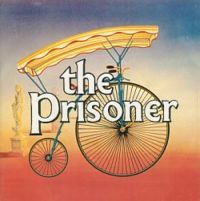 June 1: “The Prisoner” starring Patrick McGoohan premieres on the CBS-TV network as a summer replacement for “The Jackie Gleason Show,” and goes on to become an immense cult hit. June 1: “Mrs. Robinson” by Simon & Garfunkel reaches #1 on the pop singles chart. June 1: “The Good, the Bad, and the Ugly” by the Hugo Montenegro Orchestra peaks at #2 on the pop singles chart. June 1: Author-lecturer Helen Keller, who earned a college degree despite being blind and deaf most of her life, dies in Westport, Conn. at 87.